We have yet to have full discovery in this case and most likely there will be a settlement – like the one in recent news – to make the bad PR go away. Regardless this IS the problem in the concussion crisis, the culture and the lack of full understanding that denies and even inhibits proper management of concussions. This is not just a problem with those in charge, this is a problem of the support groups and the players themselves. The questions I posed to the Maryland Board of Regents could be posed to the governing body for every public and private university with an intercollegiate athletics program. Have you discussed sports concussions and other sports injuries at your meetings? Have you abdicated your responsibility on football head trauma by delegating decisions on limiting contacts to the NCAA rather than following Ivy League and PAC 12 Conference lead? For public universities, does limited sovereign immunity for coaches, administrators, and even Board of Regents members create perverse incentives that make sports more dangerous for students? He expanded upon this with an op-ed piece that has since been published. Are we doing enough? That is the crux of the Sheely case; on paper the we had a coach who supposedly knew the concussion issue, there was an athletic trainer, the University had to have a concussion policy, and the players should have had informed consent. It all looked good but in practice, according to what we have read, it was not put into place. Why? The answer is simple in my mind… Heads are buried in the sand and there is so much minutia muddying the water we don’t even have a “reset” point. This does not mean we should abandon the sport or sports and it won’t lead to obesity in children even if we did. It doesn’t mean there is not a solution through proactive rule enforcement (notice I did not say wholesale changes in rules) and education. What this case means in my estimation is a hardening or the catch phrase of “doubling down” on putting in and checking on the PROPER education and management measures. 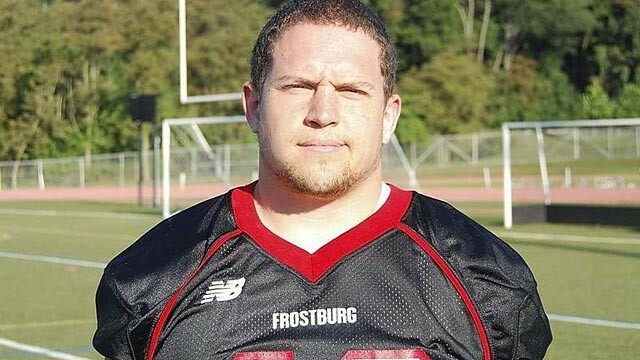 This includes athletic trainers that have the power they are designed to have, and I have a sneaking suspicion that at Frostburg this recent column and study was unfortunately in place – coaches wielding too much power over the people who are there to protect athletes. If we do not take a look at this and do something about these very sad and preventable deaths related to brain trauma we won’t have the chance to make changes, people and entities will take the sports away from us. No death is acceptable in a game, but as with life there are unfortunate circumstance and flat-out accidents. No sport can be 100% safe – like driving cars – but we can do our best to make sure the ones we can control for are taken care of. We flat-out MUST get the proper medical care to the athletes and those professionals – athletic trainers – must have unimpeded protective care over an athlete. And the athletes and coaches must adhere to what we know about safety as it relates to the human brain. Concussions are going to happen, what are we going to do when the do? Putting our head in the sand, pouting and putting pressure to come back too early will only make this problem greater. Excellent blog, Dustin. You made so many great points about having proper medical care on the field. One of the sad lessons I have learned in Derek’s death is that even at the age of 22 year old, a player who is hurting and bleeding will listen to a coach and return to play. A deadly combination of the power of a coach, the sports culture and possibly his depressed brain functions due to the injury. Derek’s case shows me is even more we need trained staff, ATs in the best case and at least trained parents as a minimum in youth sports, helping to watch for players who are showing signs of concussions. If a 22 year old “man” – almost a man – cannot stand up to a coach or flag down at AT, how can we expect high school or middle school players to stand up to adults who tell them to return to the game? It is not easy to apply logic when one is concussed. I was hit in the eye by lacrosse ball shot while coaching a 15 year old boys’ lacrosse game and was brought to the ground with a blinding headache. The AT told me I most likely had a concussion and needed immediate medical care. What did I do? I drove myself home 50 minutes on busy highway because I hurt so badly I wanted to get home to bed. Because my brain was compromised, I lied that I had a ride and drove myself home. I did not make the logical decision as a grown woman/mother who knows better. All I could think of was crawling into bed in dark room. I hope that if I had had my children that day I would have not have driven them. The concussion symptoms lasted six weeks and to this day, I cannot remember actually driving home. Parents and coaches need to understand that concussed players cannot always put up their hands, and if they are concussed, they have limited, depressed compromised brain function. We cannot expect athletes with brain injuries to “make the right decision” and “ask to be taken out” – We must hire ATs and train coaches, players and parents to all be supportive eyes on the field. In his opinion, he believes Derek knew he had a concussion… and he goes on to wonder who is responsible and why Derek’s death couldn’t have been avoided.. I think that this highlights one of the next frontiers of concussion care: the need to change the culture of sport. There is growing research data (some unpublished) that shows that athletes and coaches know more about concussion now than they did 7 years ago. However, they continue not to report concussion at about the same rate. I have heard athletes speak numerous times about their personal experience with multiple concussions and post concussion syndrome. They routinely will state that concussion wasn’t taken all that serious in youth sports and as kids they watched professional and collegiate athletes talk about not reporting the injury and playing through concussions. Their coaches, parents and teammates would push them to return early/fast. So they learned at the elementary school level that concussion wasn’t that bad. So what makes us think that they will change their minds in high school? Nothing. There has got to be a top to bottom culture change.